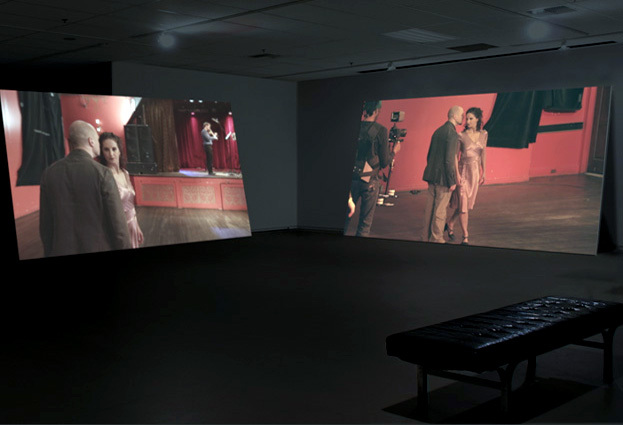 [performance 2013; installation 2016] Quartet (Steadycam Quartet) is a multi-camera, choreographed work to be presented as a two-screen video installation and surround sound environment. 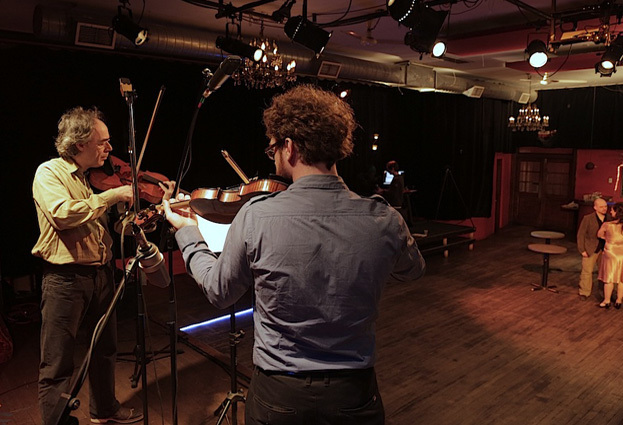 Two musicians perform a composition for violin and viola by composer Rainer Wiens (performed by Jean René and Josh Zubot). 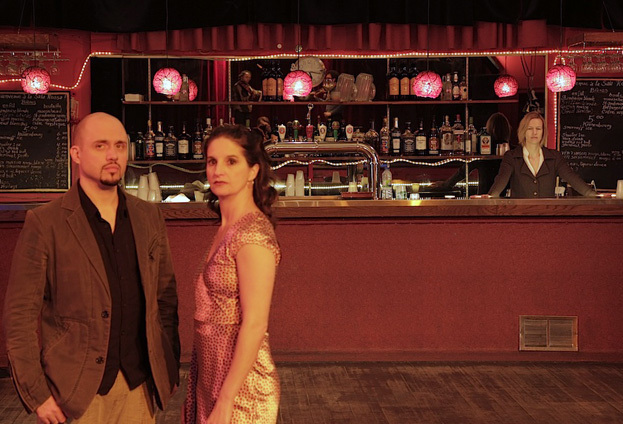 Two performers (Noel Strazza and Pablo Pugliese) execute a revolving duet moving through the architectural space of a 1940's ballroom, Montreal's Sala Rossa. Two other performers are a steadycam operator and guide. Together they form a quartet (or sextet? ), each pair orbiting the other. The recorded video is from two views: from the steadycam itself and from a second camera which can capture the entire action. 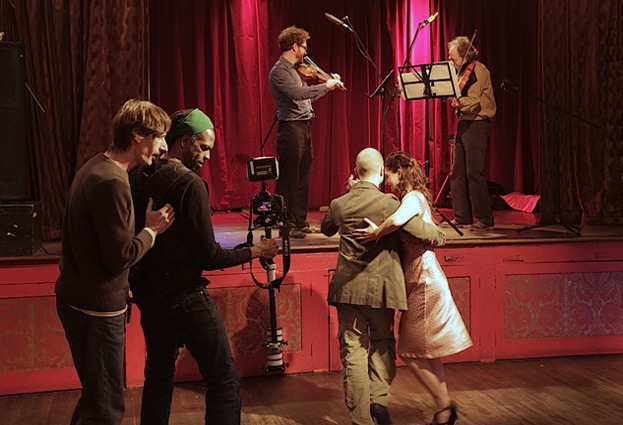 While it appears that the steadycam is following the dancers, it is in fact the opposite - the dancers are constantly, sometimes comically, struggling to keep themselves within the tunnel-view of the moving camera. The piece explores the nature of the 'lead' as a bodily gesture or visual contact between dancers or musicians and the different constructions of space precipitated by sound, movement and the 'eye' the camera.